Trees are very beautiful and provide the citizens of Ashburn with several invaluable services. These include creating much needed shade during the muggy Virginia summer, absorbing carbon dioxide and other potentially harmful gasses from the air while simultaneously releasing oxygen, and creating an ecosystem that provides habitat and food for birds and other animals. Once established, trees need very little from humans. Their roots reach deep enough into the soil that they rarely need individual watering, and they can fend for themselves in the face of most wind storms and most heavy rainfall. But there are a few things that arborists recommend that you do on a semi regular basis to ensure that your tree is as healthy as it can be for many years to come. 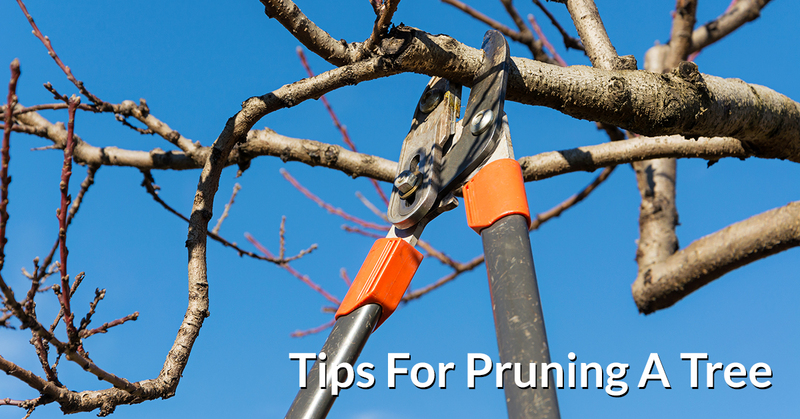 Two of these things are pruning and trimming, but as simple as these words seem on the surface, they’re the source of much confusion among homeowners. Here at Growing Earth Tree Care, we want to be your source for reliable info about how to care for your trees. That’s why we employ certified arborists who are well qualified to assess the current state of your adult trees, and execute healthy trimming and pruning strategies. Call us if you’ve got trees–large or small, leafy or ornamental–that are in need of some tender loving care! We know how to prune a tree without killing it, which is more than we can say for some other tree care companies in the area. Keep reading to learn why tree trimming and pruning need to be carried out with care! First of all, our arborists have noticed that there’s a lot of info out there that seems to imply that trimming and pruning are the same thing. They’re not, and these terms shouldn’t be used interchangeably. Tree Trimming – This is mostly a task performed for aesthetic purposes, such as ensuring the perfect growth of a shrub or hedge. Tree trimming service is usually sought after when there are lots of overgrown branches that need to be removed because they’re detracting from the appearance of the tree or threatening other plants below. Tree Pruning – This is a task that is directly related to the health and wellness of a tree or shrub, and typically involves the removal of dead, loose, or infected branches so that the tree can continue to flourish. What Equipment Is Needed For Tree Pruning? It’s always very important to think about why you’re cutting into your tree. This can help to determine the tool that is right for the task. Arborists would also tell you to make your cuts in a certain order, rather than just hacking off whatever branch looks out of place to you in the moment. Get More Info And Tree Pruning Service From Our Highly-Trained Arborists! If all of this seems rather overwhelming, and like you could mess it up at any moment (you can), it’s better to call a certified arborist to make an assessment of your tree. Arborists have all the tools and knowledge necessary to trim your tree without harming it in any permanent way.